As we’ve observed before, Hollywood, and the film industry in general, really does love to talk about itself, and there has long-existed a small but strong subgenre of documentary that has sought to explore the makings (and occasionally never-got-mades) of films big and small, with that subgenre itself even having a subgenre documenting the fandom or legacy of certain films (for example Best Worst Movie). 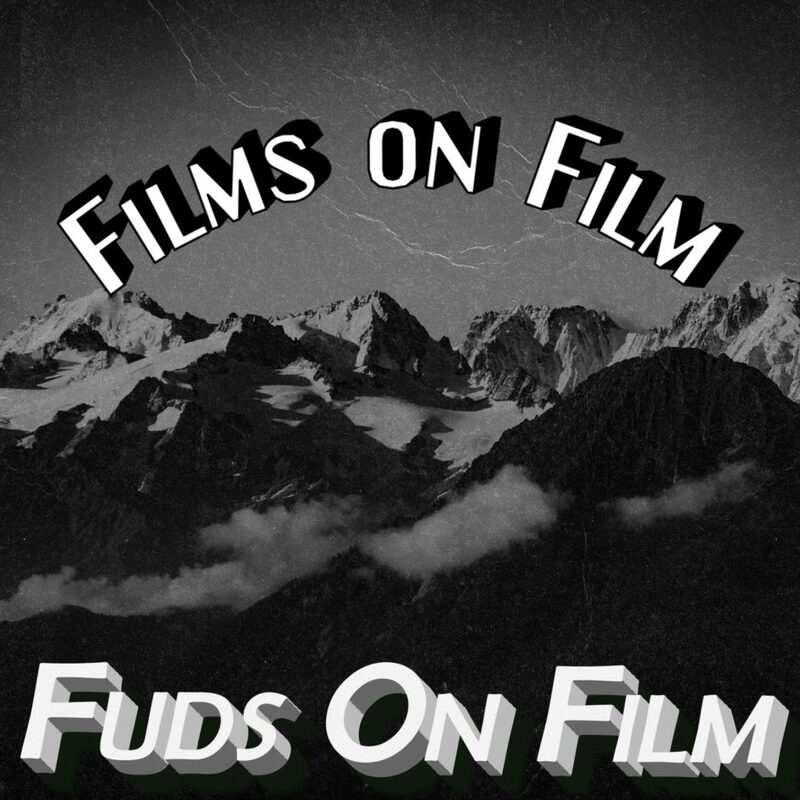 So it’s surely only a matter of time until we get a documentary on the documentaries, and then we can do an episode of Fuds on Film on Films on Films on Films on Film. As this topic was his idea Scott can perhaps correct me here, but I don’t think we chose to do this, and at this moment, for any particular reason, despite the seeming recent proliferation alongside the documentary in general that has accompanied the rise of Netflix (recent examples including Lost Soul: The Doomed Journey of Richard Stanley’s Island of Dr. Moreau and The Death of “Superman Lives”: What Happened?. As an aside, a colon and subtitle in the film’s title is so common it almost seems mandatory). Serendipitously, though, we come to this topic just as Terry Gilliam’s most recent attempt to film his long-gestating passion project, The Man Who Killed Don Quixote, has actually been completed, though whether the legal wranglings around the film will allow anyone outside of that Cannes audience to see it is currently up in the air. We talked a little about another documentary on a Terry Gilliam film, The Hamster Factor and Other Tales of Twelve Monkeys, when we did our Tech Noir episodes a couple of years ago, but today we’re going to address Gilliam’s first crack at making his adaptation of Cervantes’ classic novel with Lost in La Mancha. We will also take a look at Doomed: The Untold Story of Roger Corman’s Fantastic Four, a documentary about a film that did get made, but for various, uncertain and possibly pretty crappy reasons, never got released. We’ll next talk about American Movie, very much on the low budget end of the scale we’re covering, a story of an amateur filmmaker trying to make his dream project on very limited means. We’re going to finish up with Hearts of Darkness, which documents a film with by far the highest budget of the subjects we’re covering today, and which had a legendarily troubled shoot that severely affected the mental and physical wellbeing of the director and many of the actors but managed to result in a very highly regarded, successful and award-winning film. Somehow. In many respects the timing of this episode was prompted by the recent Cannes premier of The Man Who Killed Don Quixote, which saw Terry Gilliam finally realise the film that had been knocking around his head for years. Lost In La Mancha, of course, covers the events that led to shelving of the production of his first attempt to make it in space year 2000AD, originally intended as a “making of” documentary, instead becoming a look at how fragile a film production can be. A quartet of superheroes consisting of Stretch Armstrong; Fire Hazard; OK I’ll Buy the Magic Space Mutation But How Is Her Ability Also Able to Affect Clothes Though I Also Have the Same Question About the Hulk and Is Invisibility Even a Superpower (Sue, for short); and Um, We’ve Run Out of Ideas, Rocks, I Guess?, best known to the world as the Fantastic Four, arrived in the pages of Marvel comics back in 1961 (and, according to Wikipedia, “helped to usher in a new level of realism in the medium”, which raises all sorts of questions about comic books prior to this) and became quick and enduring favourites. Hard to believe now, as they’re part of the incredibly slick Disney machine, but Marvel, despite their very popular characters, was an absolute shitshow, in corporate terms, for a long time, and their properties were sold off piecemeal all over the place. At the start of the 1990s, when the second phase of attempted Marvel screen adaptations was getting underway (including such stone cold classics as the Dolph Lundgren-starring The Punisher and 1990’s Captain America, featuring inexplicable rubber ears and a performance from Matt Salinger that makes Dennis Quaid look like Pacino and De Niro combined), rights to the Fantastic Four found themselves in the hands of Bernd Eichinger and Constantin Film. Eichinger approached legendary (and legendarily efficient) producer Roger Corman and asked him to produce an adaptation of the property for $1 million. (At least, that’s the number regularly quoted, but the numbers in the film suggest it was more like $1.5m, or half of that, or… Jeebus. Who knows – Hollywood accounting is something akin to magic, anyway. Or, more accurately, fantastical, illusory, spectacularly immoral and probably criminal). A script was written, actors were hired and production duly began (in a condemned, rat-infested soundstage and re-using sets from such classics as Corman’s Jurassic Park cash-in Carnosaur). From the beginning, though, there were oddities that the cast and crew struggled to explain or understand, a curiously rushed schedule and lack of promotion amongst them, culminating in a passionate and dedicated crew sneaking the print out of the production offices at night so they could do post-production on their own time, and often their own dime. While it does cover much of the story of production in a fairly familiar way, it is the mystery of what happened, and why, that is the central focus of Marty Langford’s documentary. He has assembled contemporary interviews with all of the main cast members, the director, editor and several other notable members of the crew, and even managed to get some time with Roger Corman himself, but Corman is too canny an operator to allow himself to be recorded getting into details of what really went down. There is some archive footage from production and a pretty decent chunk of footage from the “finished” article, which is interesting given that the film has never actually been legally released. Doomed’s central question is also the film’s biggest failing – the what and the why of the thing. The legend is that the film was produced solely in order to retain the rights, with no intention of ever releasing the film, but it’s not a theory that seems particularly credible, though many of the talking points are about this. Certainly, however, something was iffy from an early stage, and several theories are advanced as to who did what, and why. But the film fails to get to the bottom of it, instead just presenting each player’s favourite theory. No doubt this is because no-one outside of one or two people, and perhaps not even Roger Corman, know the truth. Regardless, though, it leaves a strong feeling of disappointment and lack of satisfaction with the documentary’s central narrative. Fortunately, though, while exploring that thread Langford has found something at least as, if not more, engaging, and that is the passion, excitement and surprising lack of bitterness of a group of actors and filmmakers who thought that The Fantastic Four would be their big break. People like Alex Hyde-White, who played Reed Richards, and, particularly, director Oley Sassone, are engaging, pragmatic and (even given twenty years to cool down) surprisingly sanguine. In the end it plays like something of an underdog story, and it’s hard not to root for them, albeit pointlessly as it’s in retrospect. These people weren’t movie stars, they were working actors; the director and his crew weren’t pretentious prima donnas or troubled artists, they were skilled technicians trying to do their best. There are many reasons films fail, or fail to be released, but lack of passion or hard work certainly weren’t amongst them on this project. The effects are ropey, the sets are shonky, sure, and some of the performances are a bit… earnest… but this version of these Marvel favourites has orders of magnitude more charm than any of the three soulless, turgid adaptations that Fox has pooped out. In the end, what is left is a deep sense of injustice as the secret agendas of the executives and money men messed with the careers and livelihoods of people just trying to do the best job that they could. Going from the low budget the barely -a-budget-at-all, this documentary from Chris Smith (later to go to make Jim and Andy: The Great Beyond) follows amateur Milwaukee filmmaker Mark Borchardt as he initially tries to start production on his imagined opus Northwestern, before realising that this was no-where near ready to go and falling back on completing a horror short, Coven, which had been in and out of production for years. While American Movie is a look at the independent film making scene in a way, and I’m sure many independent movies face many of the same struggles as Borchardt does, this is certainly no “how-to” guide, and much more a character study of Borchardt himself. This, I’d argue, makes for a more interesting film. Hearts of Darkness: A Filmmaker’s Apocalypse (the colon and subtitling in use even in 1991) documents the troubled production (238 days of principle photography, for one film) of Francis Ford Coppola’s Vietnam War epic Apocalypse Now. A sort of Apocalypse Then, if you will. Oh, you won’t? Well, screw you, buddy! I’ve got the mic! Mwahahaha! Sorry, but apparently the heat and humidity sent everyone on the shoot in the Philippines a bit screwy, so I’m just trying to get into the mood as I’m a bit warm in this room. Many of these types of documentaries rely on often after the fact interviews, and even those with an onset presence struggle to convey true feelings (of those we’ve covered so far tonight, only American Movie has felt like it contained any truly personal or unguarded moments). What sets Hearts of Darkness apart in this regard, at least theoretically, is that the production footage was taken by Coppola’s wife Eleanor, and features candid audio from the director, also captured by his wife, that he didn’t know was being recorded. This audio was, it is claimed, to be used only as a guide for the production diary, but its use gives an insight into Coppola’s thoughts at the time. Looking for the next big project after The Godfather and its sequel for himself and his production company, American Zoetrope, Coppola settled on Apocalypse Now, an adaptation of Joseph Conrad’s Heart of Darkness written by John Milius, and originally planned to be directed by George Lucas (and was a project which had also inflamed the passion of a pre-Citizen Kane Orson Welles, though its lavish production scared off the film studio). Apocalypse Now became a legendarily troubled and chaotic shoot, with original lead Harvey Keitel sacked; his replacement Martin Sheen suffering a near-fatal heart attack at the age of 37; tropical storms; helicopters hired from the Filipino government whisked away with no notice to fight Communist insurgents; fourteen year old actors who lied about their age; other actors drinking and consuming large quantities of drugs; huge budget overruns; constant rewrites (and, often, shooting schedules which declared, more or less, “Christ knows, I guess we’ll make it up when we get to set”) and a truculent, expensive and woefully unprepared star as the antagonist. Despite this, most of this film, alas, did little for me, and for all its proclamations about Coppola following the spiritual torment and descent of the characters of Conrad’s novels, and the director’s own assertion that, “we were in the jungle, there were too many of us, we had access to too much money, too much equipment… and little by little we went insane”, I don’t think the film really demonstrates that in any meaningful way. It may tell us that the jungle drove them crazy, but it just doesn’t show it. However, it is in the film’s final portion that things really pick up and an element that could truly be believed to have driven people crazy is introduced: legendary actor and, if preparation for this episode has taught me anything, total douchecanoe Marlon Brando. “Wilfully unhelpful” truly undersells Brando, especially when there are so many much more apt epithets, many of them sharing a combination of rear quarters and various items of headwear. Coppola clearly had a vision and, despite genuine difficulties and setbacks, he brought that vision to the screen (though whether that merited a 49 minute longer version in Apocalypse Now Redux is debatable but, hey, this could have been a George Lucas film). I had originally been going to say that I have too many problems with this film to recommend it to a general audience, but for fans of Apocalypse Now it’s probably worth a watch. But with a few days thought I think I’d put it up a notch, as I think Hearts of Darkness does a better job than many films in this genre of really showing how a film got made (and very nearly didn’t).